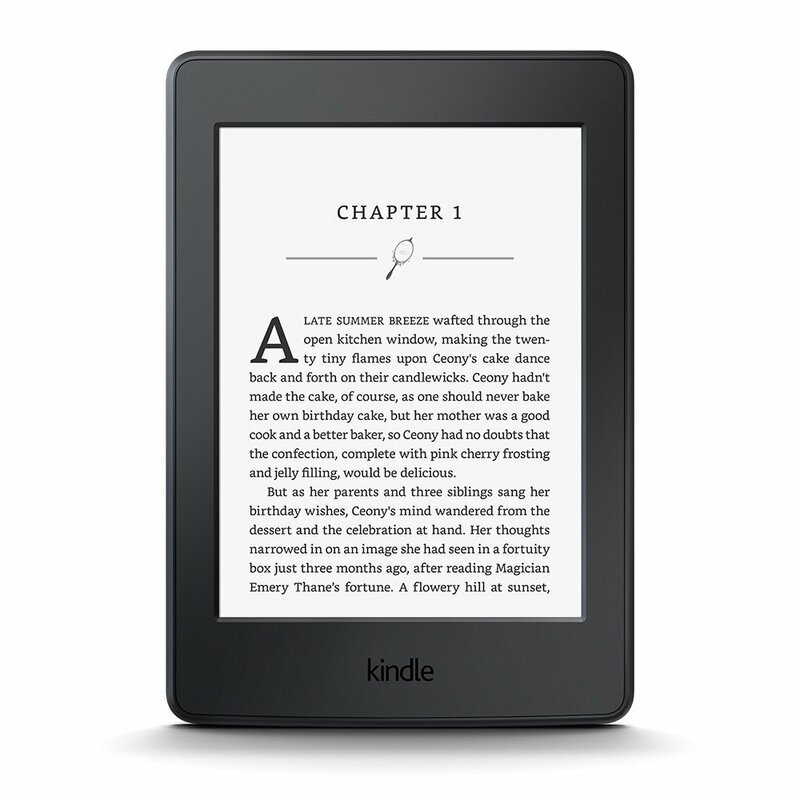 The all-new 2015 version of Amazon Kindle Paperwhite offers a high resolution 300ppi screen. The Kindle Paperwhite features the same sharp display as the Kindle Voyage, without increasing its base price of $119. The Kindle Paperwhite is the perfect ebook reader for anyone with a mid-range budget. There’s the low-end Kindle at $79, the high-end Kindle Voyage at $199, and the mid-range Kindle Paperwhite for $119. The design of the Kindle Paperwhite have remained the same as previous generations. Like the Kindle Voyage, it has a 6-inch Carta E Ink HD touchscreen display with a built-in light. The plastic body, micro-USB port placement, power button and status light have all remained the same. If the screen was turned off, you would have a hard time spotting the difference between the Paperwhite and the previous generations. The only distinct difference in the design is the logos etched on the back. Instead of saying Kindle, it now says Amazon. The Kindle Paperwhite features a resolution of 1,448 by 1,072 and 300 pixels per inch. 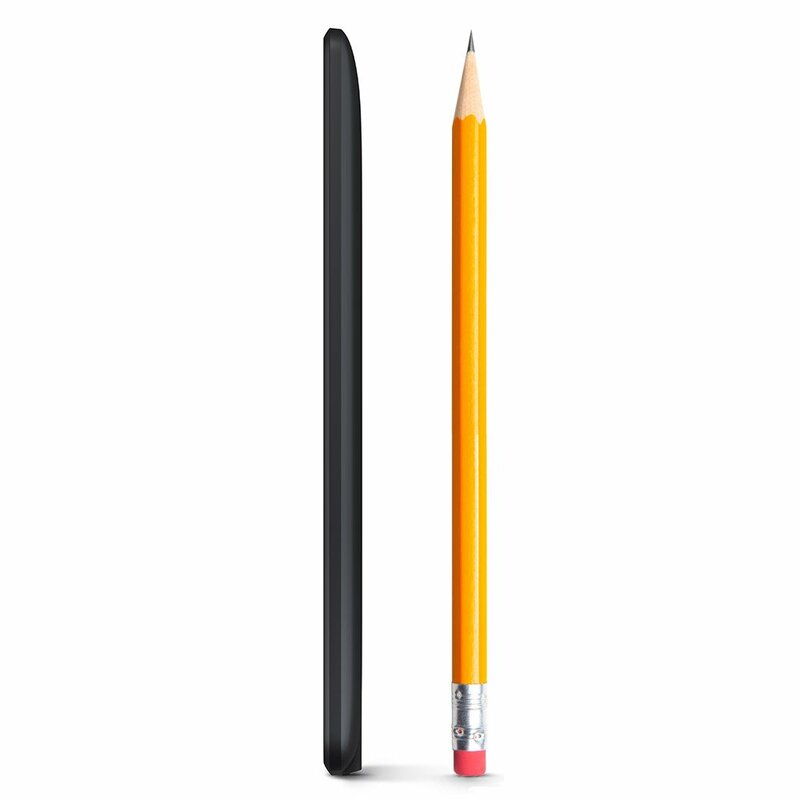 According to Amazon, the Paperwhite is 25% higher in contrast than its predecessor. The Kindle and Kindle Keyboard 3G only offers 167ppi in comparison to Kindle Paperwhite’s 300ppi. The higher pixel per inch results in incredibly sharp and crisp text view-able in any font size. The Paperwhite lacks the adaptive backlight feature that the Voyage has. It is basically an automatic brightness sensor, the brightness will adjust automatically depending on the environment. Although having to set the brightness manually may be a minor nuisance, Paperwhite’s brightness is easily adjustable via the onscreen menu. The brightness is adjustable on a 24 point scale. The default is 16, which is the perfect amount of lighting for average indoor light. Text is noticeably sharper on the new Paperwhite, though it’s not a huge upgrade. Amazon has included a new Bookerly font, which is designed specifically for eReaders. It’s more spacious than the old Caecilia font, and has finer touches that are more apparent at a larger font size. The display allows for high readability in any environment due to its glare-free display. Like most eReaders, Paperwhite can be read in direct sunlight without glare, which is one of its most advantageous feature. Smartphones and tablets rely on front lit displays, which means reading in bright sunlight may be a problem. Similar to the design, the specifications have not changed much either. There is 4GB of on-board storage, which is capable of holding thousands of books and a 1GHz processor. Amazon has doubled the amount of RAM from 256 MB to 512 MB, which means slightly faster browsing. While using the Paperwhite, there were never any issues regarding performance. Page flips felt smooth and natural. Browsing through Amazon’s menus and book listings and flipping pages rapidly did not hinder performance. The Kindle Paperwhite is one of the lightest eReaders at only 205 grams and 217 grams for the Wi-Fi + 3G option. It’s not as lightweight as the 188g Voyage, but is Amazon’s more affordable option. Kindle Paperwhite is available in two versions, the Wi-Fi and Wi-Fi + 3G. The Wi-Fi is great for people who already have a high speed connection. Wi-Fi + 3G is for people who want to download books anytime, anywhere. The model with 3G requires no wireless setup and offers free built-in 3G connectivity with no monthly fees or commitments. One of Kindle Paperwhite’s biggest selling point is the long-lasting battery life. Depending on the brightness option you use, Kindle Paperwhite can last up to six weeks without recharge. Not only can the battery last long, it also recharges relatively quickly at approximately four hours to fully recharge. 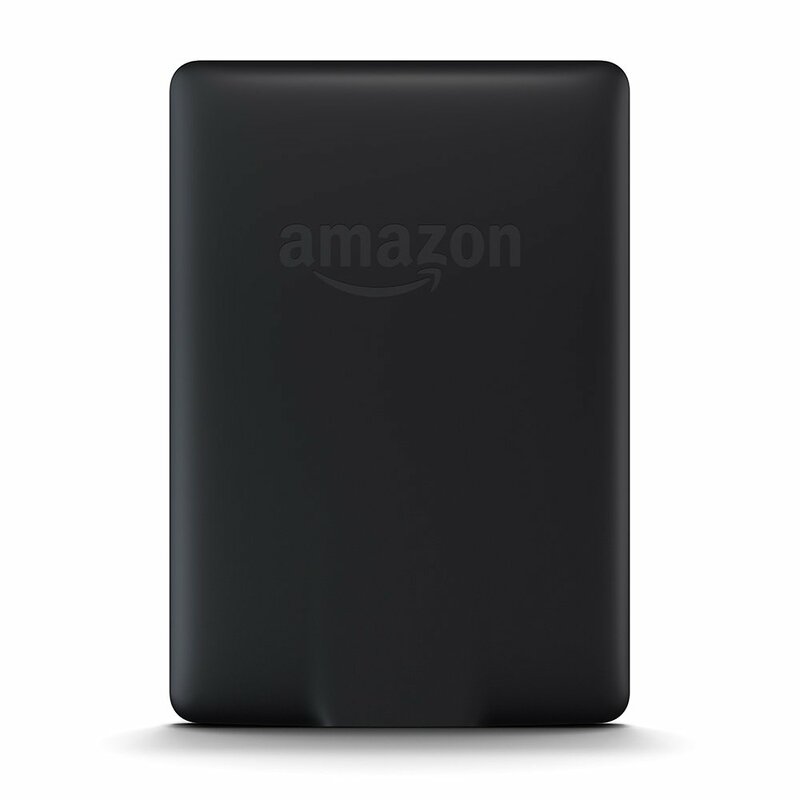 Amazon Kindle offers a variety of options from the low-range to higher range budgets. There’s an affordable option available for everyone. The Kindle has a starting price at $79.00 which is perfect for people who only want the bare bones of an eReader. The Kindle offers much of the same features as the more expensive models, but it does not have a built-in light nor does it have an adaptive backlight. While the Paperwhite and Voyage offer a higher pixel per inch at 300, the Kindle only offers 167ppi. Kindle only has a Wi-Fi option and does not have a 3G option. The Kindle Paperwhite is perfect for people who are on a budget. The starting price for the Paperwhite is $119.00. It is the perfect Kindle for people who want all the features, but don’t want to pay more. It offers the same 300ppi display as the more expensive Voyage. Unlike the Kindle, the Paperwhite comes with a built-in light. However, it is missing the adaptive light sensor (auto brightness) and PagePress. From our experience, Kindle does not require many brightness adjustments. There are few moments where brightness has to be manually adjusted. Generally one or two brightness options will work in any environment. Kindle Voyage is the most expensive model at $199.00. We recommend getting this model if you want auto brightness and a dedicated PagePress. For most people, the Paperwhite model will suffice, but if you want all the features then the Voyage is for you. If you are considering an eReader other than the Amazon Kindle then the Kobo Glo HD may be for you. The Kobo Glo HD offers the same 300ppi 6inch Carta screen as the Paperwhite for $130. The most basic Paperwhite for $119 comes with ads, but the Kobo Glo HD is ad-free. The differences between the two eReaders have more to do with software than hardware. While the Kobo Glo HD offers an ad-free option for a lower price, the ebook library is not as vast compared to Amazon. One of the best eReaders on the market. Features a sharp display, faster performance, at an affordable price. Long-lasting battery. Has everything you want out of an eReader.